Very smooth with a subdued salinity and acidity. fresh and but very accessible. 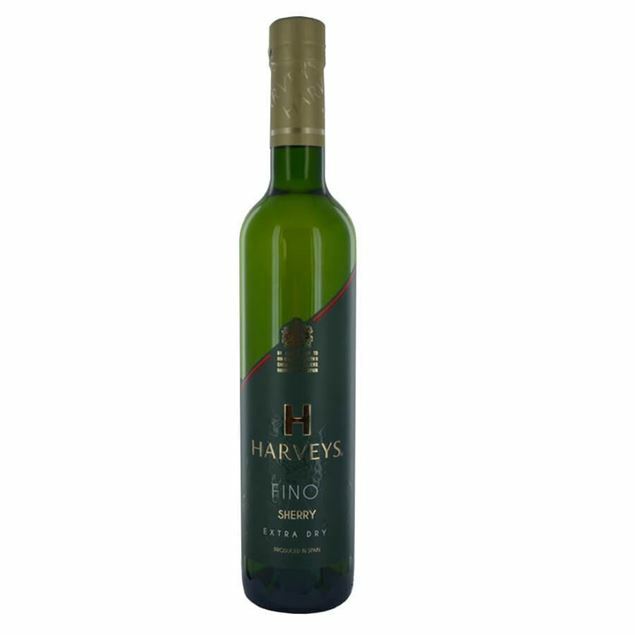 medium dry with plenty of caramel flavours and nutty notes, as well as a background fruitiness. Deep mahogany in colour. aromas of weathered wood, walnut, spice with caramel and cocoa. a full bodied wine with a long finish. Harveys bristol cream features flavours of roasted nuts and raisins, with a subtly spicy finish. it is usually served well chilled as an aperitif, as an after-dinner drink straight, or on the rocks with a wedge of lime or slice of orange. the ice lessens the viscosity and the citrus lowers the sweetness to create a refreshing drink. as a dessert wine, serve with cheesecake, flan, bread pudding or creme brulee. Dry and refreshing, with apple, straw and nutty flavours all underscored by a saLtry tanginess. lightweight and balanced, zesty and refreshing. Uncompromisingly dry, refreshing and distinctive, tio pepe is the perfect partner for savoury nibbles, olives, fried fish, spanish ham and of course tapas. tio pepe is best enjoyed within a year of bottling.